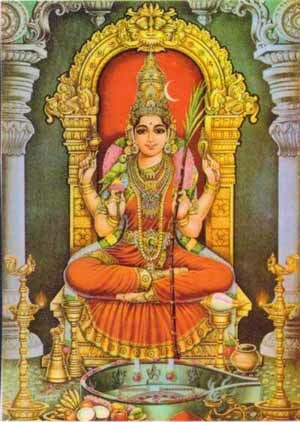 Aadi Masam, or Adi, is the fourth month in Tamil Calendar and is termed inauspicious by many as the Dakshinayana Punyakalam begins in the month. In 2019, the Aadi Masam begins on July 17 and ends on August 16. But several Tamil Hindu rituals and festivals are held in the month of Aadi and therefore it is also auspicious to some people. Aadi is considered bad by some people becomes of the southward journey of sun. The next six months are the night of Devas. Why Newly Wed Brides Go Back To Their Home in Aadi Month? Earlier, newly wed couples were separated during the Aadi month by some communities. The bride’s parents used to invite the bride back home. This was because the women who conceived during the Aadi month used to give birth during April – May, the hottest months. In earlier days, when there were no hospitals the infant mortality rate used to be high during the hot months. Today this ritual is strictly restricted to traditional homes. Aadi Pirappu - Aadi Pandigai - The first day of Aadi is observed as Aadi Pirappu. It means beginning of the month. The day begins with the making of huge kolams (Rangoli designs) in front of the home. The kolam is drawn on all days of the month. The kolams are bordered with red color – Kaavi. Doorways are decorated with mango leaves. The day begins with pujas and visit to temple. There will be a feast on the day with special delicacies include payasam, vadai, boli etc. On the first day of Aadi, married women change the yellow thread in their Mangalsutra or thali. Dakshinayana Punyakalam, the night of the Devas, begins on the first day of the month Aadi. It is marked on July 17, 2019. Some communities perform Tarpanam on the day. The sun changes its direction during this period and next six months is the night time of the gods. Due to this reason, no auspicious events are held in the month. Aadi Chevvai – the Tuesdays in Aadi Masam is highly auspicious. Aadi Velli – Fridays in the Aadi Masam is also considered auspicious. Aadi Amavasi (August 1, 2019) – No moon day in Aadi month dedicated to offering Shradh and Tarpan to dead ancestors. Aadi Pooram (August 3, 2019) – The day is dedicated to Andal. Varalakshmi Puja (August 9, 2019) – Worship of Goddess Lakshmi. Aadi Perukku (August 3) – The festival is dedicated to Kaveri River and falls on the eighteenth day in Aadi Masam. Aadi Karthigai (July 27, 2019) – festival dedicated to Lord Muruga.